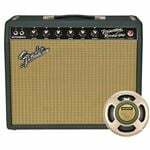 Over a decade before revolutionizing the musical world with his iconic electric guitars and basses, Leo Fender was designing and building guitar amplifiers that would ultimately signal the beginning of a rich and storied history. 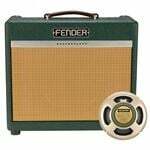 For the last seventy years, Fender amplifiers have been the cornerstone of countless guitar rigs, spanning every style and genre of music through each step of creative progress. Today, Fender tube and solid state heads, cabinets, and combo amps continue to deliver incredible guitar tone and the same trademark performance time and time again, no matter the venue. 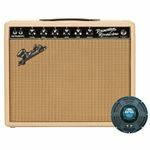 Limited Edition Midnight Oil Finish and Celestion Greenback 12" Speaker! 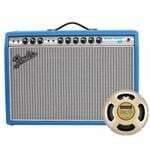 Wheat Grille Cloth and Celestion Greenback 10" Speaker! Limited Edition Blonde or British Tan with a pair of Jensen C12K Vintage Ceramic 12" Speaker! Limited Edition Blonde with wheat grill cloth and Jensen P10R Speaker! Limited Edition British Green Finish and Celestion Greenback 12" Speaker! 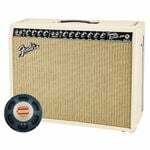 American Musical Supply is excited to be your stop for Fender amplifier heads, combo amps, and speaker cabinets for guitar! We offer True 0% interest payment plans - applying is easy and there is no credit check for our 3-pay plan on purchases from $49-1,500. 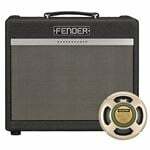 Use your own debit or credit card, enjoy fast and free shipping, and add a Fender Guitar Amp to your creative setup. 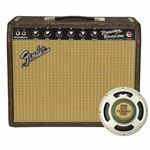 We make buying a Fender Guitar Amp quick and easy - in-stock items that are ordered before 4PM EST will ship out the same day! Do you have questions and want to know which items would be best for you? Give us a call at 800-319-9043 - our experts are standing by.